Across Canada, public and private drug plans are increasingly using reference-based pricing policies to contain costs. Under reference-based pricing, drug plans reimburse the cost of the reference drug(s) in a medication class. Most often, this is the least expensive drug. As patient advocates for more than 20 years, we are concerned these policy changes -- as past experience shows us -- will adversely affect thousands of patients and, in particular, our most vulnerable patient populations: the elderly and low-income. 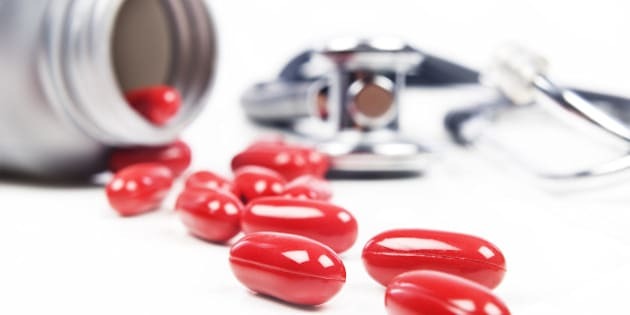 Changing a stabilized patient's medication, strictly based on a government cost containment policy, is contrary to evidence-based medical practice. Patient organizations fully support a "patients first" approach, and so should governments. Policy should preserve and uphold the intent of a health care system to respect the complexity of therapy choices being made between patients and their physicians. After the Reference Drug Program was introduced in British Columbia in 1995, patient groups got together and formed the Better Pharmacare Coalition. One of these patient groups, the Canadian Society of Intestinal Research, led a 2009 study that showed changing medication against doctor's orders, which B.C. PharmaCare predicted would preserve $42 million in the drug budget, actually cost the B.C. government $43 million more, a difference of $85 million over three years. This policy resulted in an increase in the drug budget itself due to greater use of the cheaper (referenced) product, in many cases due to loss of response with the cheaper medicine. Patients ended up doubling up their prescriptions to get the effectiveness they had on the original medicine. Other, hidden costs were extra visits to the doctor and hospital emergency rooms, loss of adherence, new side effects, adverse reactions, and loss of or reduced disease control. The B.C. government recently approved amendments that will expand the Reference Drug Program . In effect, government is deciding not just the price it will pay for a medicine, but which medicines physicians can prescribe, if eligible patients want B.C. PharmaCare to cover the cost. We asked Insights West to conduct an online poll, which found British Columbians oppose expansion of the Reference Drug Program. A resounding 82 per cent are concerned that administrators of the B.C. PharmaCare program will be implementing a policy that tells physicians which medications they can prescribe for patients, even if it goes against physicians' opinions of the best care for their patients. The poll also found that 76 per cent of British Columbians were concerned about changing B.C. PharmaCare's Reference Drug Program to specify a reference product that patients must take, or they will have to pay the difference out of pocket to stay on their current therapy. It is important to note that the concerns are higher among PharmaCare users and those with a history of chronic disease in their household. Government needs to understand what doctors already know -- patients are unique and they cannot be treated with a cookie cutter policy approach. Governments should make every effort to meaningfully consult with patients when contemplating any change that will touch even one patient's life.